The composer-in-residence program directly supports the WCYO’s mission to educate and inspire young musicians. During his residency, Paul will compose a piece for each ensemble – String Ensemble, Wind Ensemble and Symphony Orchestra – to be performed during the season. He will begin working with our students at the annual fall retreat in September and collaborate with the WCYO artistic staff throughout the year. Paul will also coordinate a program for student composers, which will include reading of orchestral compositions by Music Director Eric Mahl and the WCYO Symphony Orchestra. The WCYO composer-in-residence program is designed to foster connections between our youth musicians and emerging composers and provide the opportunity to premier commissioned works. It’s one thing to read about “a group of talented musicians.” It’s quite another to actually see them, hear them and marvel at their skills. Attending a concert by the Western Connecticut Youth Orchestra is like that. You can hear the youthful intensity and see the concentrated desire for perfection on the faces of the musicians. Founded in 2002 as the Ridgefield Symphony Youth Orchestra by Gina Wilson and Carrie Moore, there were twenty-five young musicians who began weekly rehearsals and played their debut concert in 2003. Two years later, a string ensemble was added, and the Ridgefield Symphony Youth Orchestra became the Western Connecticut Youth Orchestra, to reflect the expansion to a larger regional area. A wind ensemble was also added. Today, nearly 90 young musicians, ages 8 to 18, from twelve towns in Connecticut and New York are part of the WCYO. In twelve years, the orchestra has grown from one ensemble to three. They have performed side-by-side with the Ridgefield Symphony Orchestra, at Carnegie and Avery Fisher Halls and concert tours to Austria, Sweden and Paris. They study under private teachers and join the orchestra through auditions. The need to excel is strong, and the student musicians constantly work to achieve the sound the composer intended and to interpret it creatively. The repertoire ranges from classical to contemporary. 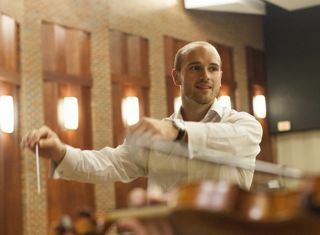 Justin Elkins, String Ensemble Conductor, is a cellist and devoted music educator. Albert Montecalvo, the Wind Ensemble Conductor, has over 30 years of teaching experience and is a drummer and percussionist. Petko Dimitrov was music director and Symphony Orchestra Conductor for nine years before passing the baton to a new music director, Eric Mahl. As one of the musicians’ parents said “The musicians were good. Petko has made them great.” And, from another parent, “Petko has taught them more than music. He has taught them about life.” A native of Bulgaria, Dimitrov has been leading an amazing musical life: assistant conductor of the Ridgefield Symphony Orchestra and Symphony in C in Camden, N.J.; cover conductor of the Princeton Symphony Orchestra. He has won many awards and has international recognition as music director of the of the New Symphony in Sofia, Bulgaria, and conductor and music director of Cavallo Classico, in Munich. An example of this is the orchestra’s Principal Cellist, Melanie Ambler, who performed Dvorak’s Cello Concerto magnificently. She won WCYO’s Concerto Competition, which has been held annually for the past nine seasons. The competition is open to all members of the WCYO Symphony Orchestra. The winner performs at a concert as soloist with the Orchestra. Melanie started playing cello when she was eight. She will attend Brown University as a pre-medical student but plans to continue her musical education by participating in the orchestra and other ensemble groups on campus. Gina Wilson notes that though these young musicians may not make music their professional careers, they will have the joy and discipline of music enrich their lives. 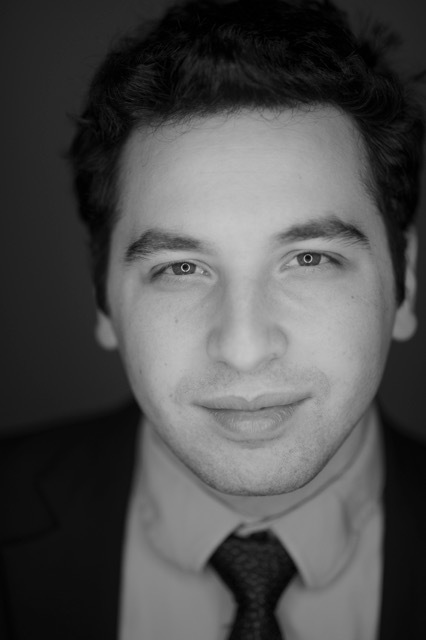 She also says, with pleasure and pride, that bass player Jonathan Borden is the first alumnus to be hired professionally by the Buffalo Symphony Orchestra. For a history of their programs and to see and hear WCYO perform excerpts of some of the orchestra’s performances, or to find out more about attending one of their concerts, visit www.wctyo.org. More information is available at the website by emailing info@wctyo.org or calling 203-894-8786.